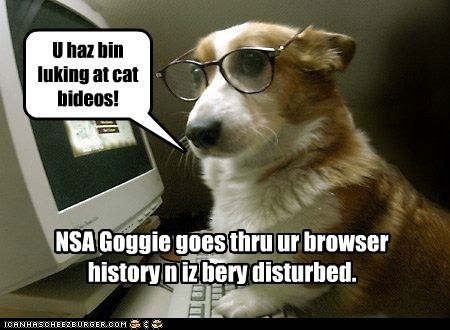 Security Memetics: nosy or snouty? seems like everyone's sticking their nose in your business these days, or sometimes even their snouts. who let the spooks out? secret courts: what could possibly go wrong? how much do you hate protection? couldn't you just cane them? sound like a familiar business model to you? you lift sixteen docs, what do you get?